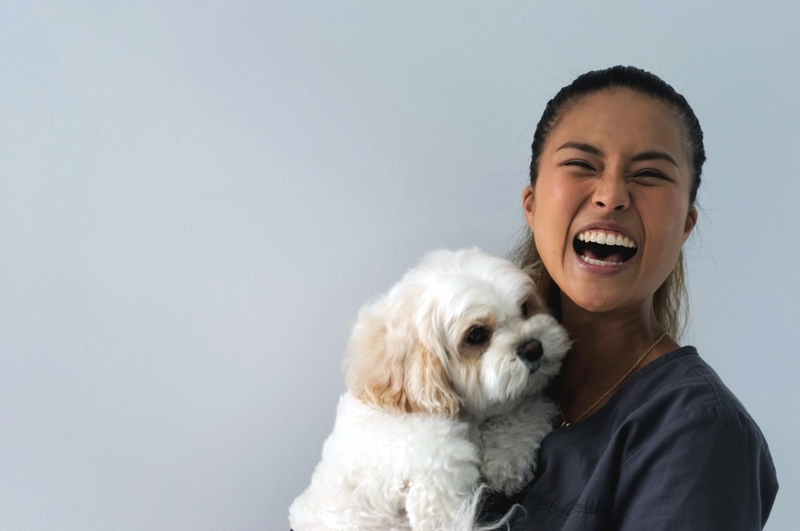 Saving the lives of Australia’s cutest furbabies might sound like a dream job, but to Sydney Vet, Cherlene Lee it’s a whole-lotta hard work as well. A trailblazer in her own right, Cherlene is not your ordinary vet. 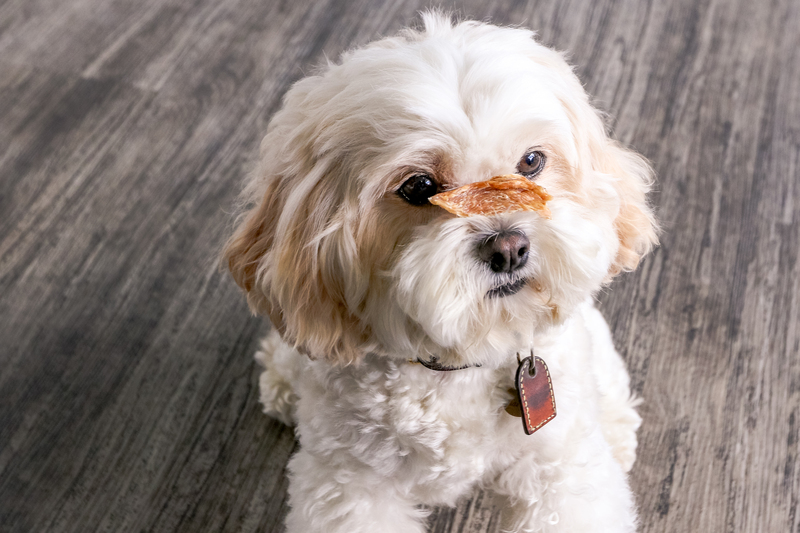 Not only is she a passionate pet owner, but she also conducts 50 percent of her consultation on the floor – which is virtually unheard of these days – but you see, Cherlene has always challenged the status quo. 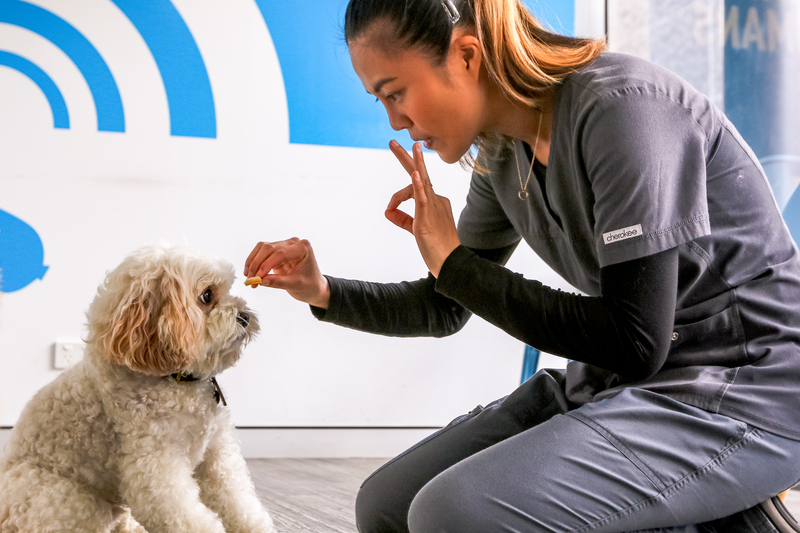 Frustrated by the rigid model adopted by a majority of Australian vet clinics, Cherlene saw a gap in veterinary service for modern and holistic approach to animal well-being and started her own practice, My Vet Animal Hospital four years ago. 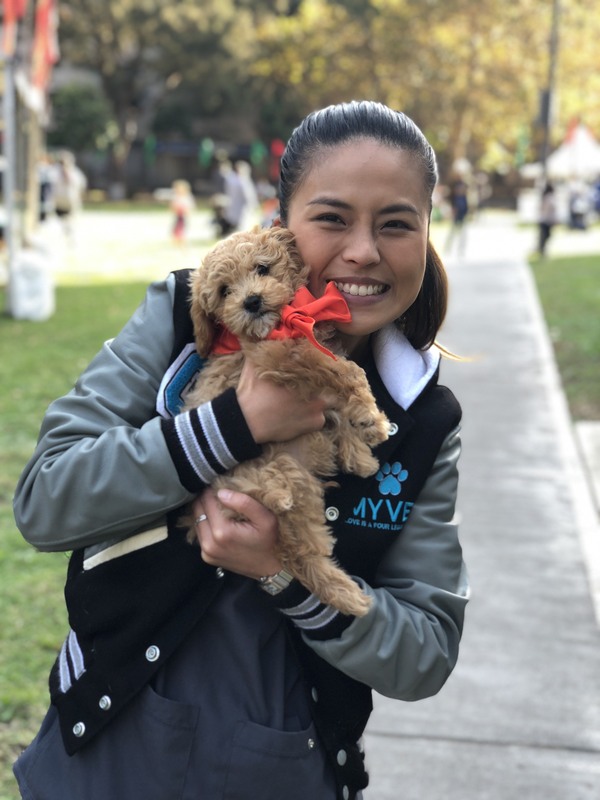 Since My Vet opened its door in March 2014, Cherlene and her team have been highly involved in many animal welfare and pet related initiatives, including Sydney Homeless Connect where she offers much needed free pet health check and advice to the pets of the homeless. What we love most about this #careerstory isn’t the incredible career advice, nor the tips for any budding Veterinarian, but Cherlene’s devotion to her furry friends. If you want to work with animals, or face the 5 year University degree to be a vet, then this is the #careerstory for you. Hi Cherlene, you are our first Vet, and we are so excited! Let’s start at the very beginning. I am originally born in Malaysia and migrated to Australia when I was 15 years of age. Since I was a kid, I have always had a love for animals and I was very lucky that my parents allowed me to keep different types of pets such as dogs, rabbits, fish, hamsters and turtles – all under one roof. All my free time as a kid was spent on looking after my pets and reading up everything about pets. Discovery Channel and Animal Planet sold me the dream of working with animals. I came to Australia when I was 15 and was enrolled in Kincoppal-Rose Bay School. It was very different compared to high school back in Malaysia. I was a boarder for the first few years before transitioning to a day student. The transition wasn’t easy at first, especially when English wasn’t my first language. However, meeting new friends and experiencing new things made the whole experience very memorable and positive. I wanted to be a vet since I was 12, however, the school’s one-week work experience program in Year 10 has cemented my view on working with animals. Year 10 – Work experience: I did my work experience at Taronga Zoo! It was the best week of school for me. I got the opportunity to work with Kodiak bears, meerkats, desert fox, tigers, lions and tapirs. Although I was mainly involved in cleaning their enclosures and feeding the animals, I was allowed to observe a minor procedure performed on a lioness. I saw how they dart the lioness and witness the procedure from start to finish. As this was my first taste of being a vet, I asked if I could keep some of the fur that was trimmed off from the lioness! I went to the University of Sydney and got my Bachelor of Veterinary Science. They no longer have this course, as it has now become a post-graduate degree. 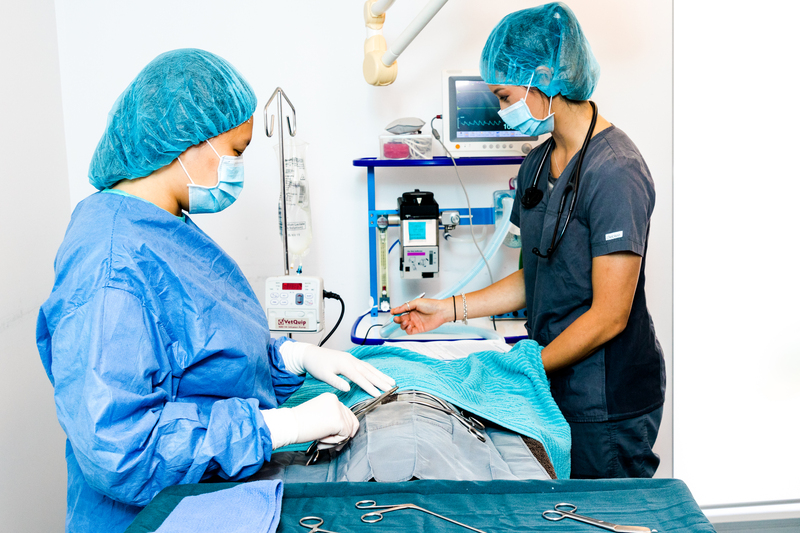 The Bachelor of Veterinary Science was a 5-year program, with the last year being an internship year. This was the degree you needed to obtain if you wanted to be a vet. I started out working in Maitland in the Lower Hunter Valley for a year before relocating to Sydney. 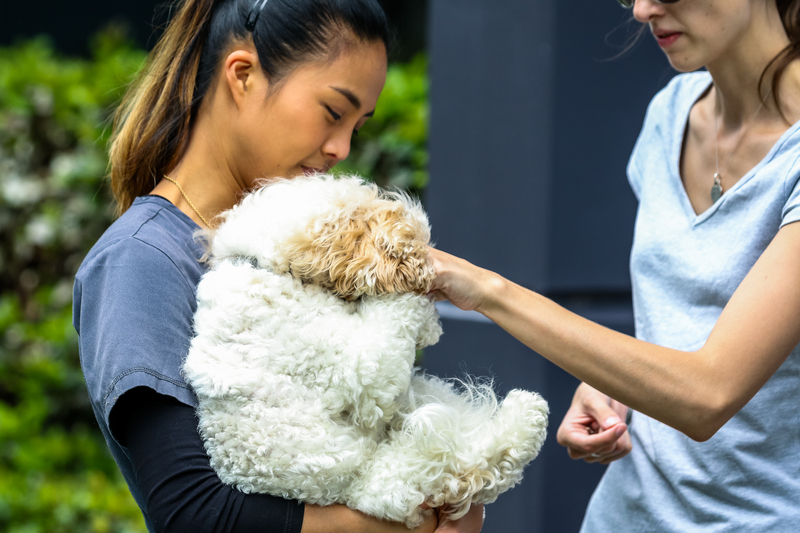 I then worked at Eastern Suburbs Vet for a few years before trying my hands as a locum vet – a locum vet usually stands in temporarily for someone else, and they get to create their own work schedules, or even choose to work in certain areas or clinics. Locum vet work was really fun as I could work at various vet hospitals, experience different working environments and meet new people. This eventually led me to open my own vet hospital in 2014. Opening my own vet hospital has been the biggest highlight of my career so far.  I created my own job! Haha, I started my own vet hospital four years ago. Running my own business has been the hardest part of my job because no one teaches you on how to run a business in vet school! What does a day/ a typical business day look like for you in your current job? A typical day for me starts with a cup of tea, followed by taking my dog out for his morning walk. This helps me relax and ease me into my day. I will then spend about 30 minutes to an hour to go through my emails and prepare my tasks for the day or week ahead. My “vet” work starts with me doing consultations and performing surgeries. I usually finish at around 5-6pm, and then head home to handle administrative work of the business for a few hours. I try to aim for some work-life balance now, and sometimes I will finish work a bit earlier to give myself some me-time. My dog, Siao Chu! He has been by my side from the very beginning. He is one of the reasons why I started my own vet hospital. He makes me want to be a better person, and teaches me to slow down and be in the moment when things get crazy. Get involved and volunteer some of your time to work with animals. There are so many not-for-profit organisations in Australia that students can volunteer. Not only will this help get your foot through the door, but it will also give you a glimpse of the real vet world and help you decide if this is something you really want to do. Being a vet is not all about puppies and kittens as we see a lot of sick animals and face stressful situations most of the time. That said, we do love a good snuggle with those fluffy fur balls. The most valuable resources that I turn to constantly for inspiration are all the furbabies that I look after. Not only do I want to better their lives, but also to enrich and strengthen the pet-human relationship. Just like all my fellow pet owners, I love my pets so much and never want them to leave me. That’s why I also turn to my own furbabies for inspiration – how can I make their lives better, how can I take better care of them to keep them healthy just so they can have a long and happy life, etc. Name an Instagram Account that you can’t go a day without checking: @MyVetAnimalHospital – of course! Favourite all time book/s: I used to read a lot of Sidney Sheldon books growing up! Love all the mystery stories! Others: I have a secret obsession with buying dog clothes. Now it’s over to you. Do you have any questions for Cherlene? List them below. Make sure that you follow My Vet Animal Hospital for more details on Cherlene, and all the work she does.